We all need someone to lean on, and teachers are no exception. If you are frustrated that teachers are struggling to teach because of a lack of supplies, you can do something about it. 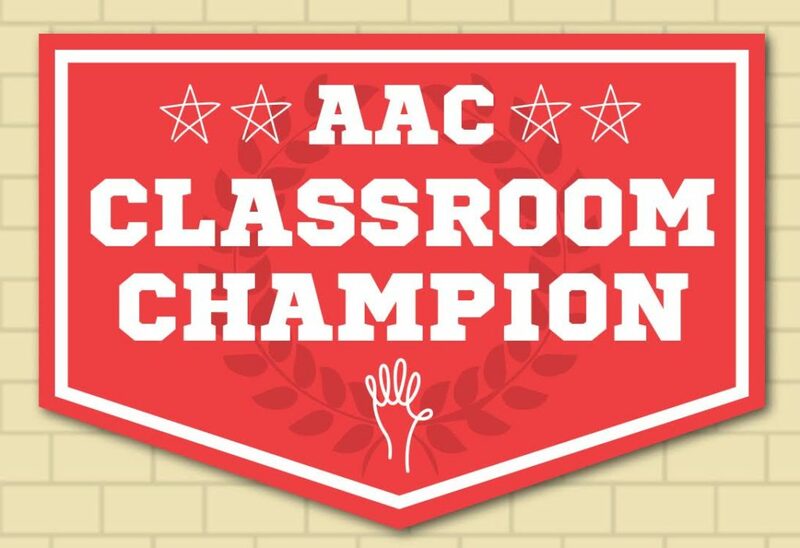 Become a Classroom Champion! Classroom Champions are often the key to a classroom adoption. When you help raise awareness about a specific need for one classroom, you can make a big impact. We know that with you by their side, teachers stand a better chance of getting through the school year with the supplies they need. 1. Talk with your teacher and really understand the need. What you learn might be surprising. Each classroom is unique and has its own challenges. Understand what your classroom and teacher need to get through the year. 2. If you can, volunteer in the classroom and get to know the students. Everything you are doing is to benefit them. Understand their challenges and strengths. When you do get them the supplies they need, it will be that much more exciting! 3. Check out your teacher’s classroom page on AdoptAClassroom.org and offer suggestions. We all can use an editor. Help your teacher review their page for any typos or information that isn’t clear. Classroom description is one of the top reasons donors give, so a strong classroom page is a must. Also, if you have great photography skills, improving the classroom photo doesn’t hurt either. 4. Talk to your community about your classroom. You never know who you will meet that will be willing to help. We have seen donations come from individual families, local businesses, clubs, in memory of a loved one, and local nonprofits that raise money for teachers. You can download and print this card to bring with you or email [email protected] if you have something specific in mind and we will try to help. If you need something, chances are other Champions need it, too! 5. Share your classroom on social media and in email then ask your friends to donate. Did you know that 25% of the people you ask for a donation will actually give? Think of what that will mean for your classroom! Even better, they will get great updates from the teacher after they donate about how their funds were spent. Here are some reasons why AdoptAClassroom.org is a great way to give to a classroom. Finally, don’t forget to sign up for our newsletter or follow us on social media to keep up with updates and resources from AdoptAClassroom.org. We have new opportunities for teachers and their supporters all the time. Thank you for raising your hand to help teachers by working as a Classroom Champion. We are excited to have you on the team! Now, let’s get some students the supplies they need to succeed.